A new treatment could help those with post-surgical, chronic low back pain, according to preliminary studies utilizing a simple procedure to remove scar tissue or adhesions. The study is published in the journal Pain Medicine. 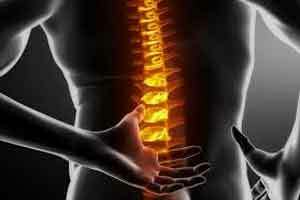 The study is significant as failed back surgery (continued low back and leg pain after surgery) is relatively common. With each reoperation, success, as defined by pain reduction, becomes less likely and most patients do not improve. Although multimodal and multidisciplinary pain management for FBSS (failed back surgery syndrome) is best, a systematic review has suggested that medications and repeat surgery are less effective, whereas physical therapy and interventional procedures have greater efficacy. Michael Perloff, assistant professor of neurology at Boston University School of Medicine, and colleagues performed the Simplified Epiduralysis After Laminectomy/fusion (or SEAL) on 30 patients who continued to experience low back and leg pain after back surgery. Short-to moderate-term pain relief was reported in 74 percent of these patients. Nearly 40 percent reported greater than 50 percent pain relief. After three years of follow-up, only one patient went on to repeat lumbar spine surgery. “SEAL could be an efficacious intervention for failed back surgery with a simplified procedure, lower costs, shorter procedure times and minimal adverse events,” explained Dr. Perloff.